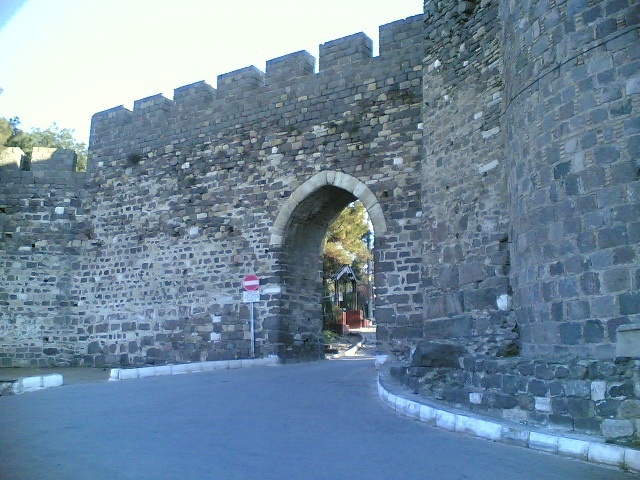 Notes: Kadifekale (literally "the velvet castle" in Turkish) is the name of the hill located within the urban zone of Izmir, Turkey, as well as being the name of the ancient castle on top of the same hill. Both the hill and the castle were named Pagos (Greek: ???? ?, Pagus under the Roman Empire) in pre-Turkish times and by the local Greeks in modern times. The summit where the castle is found is located at a distance of about 2 km from the shoreline and commands a general view of a large part of the city of Izmir, as well as of the Gulf of Izmir. Administratively, the hill area covers six quarters constituted by slums in their large part, one named Kadifekale like the hill, and others Alireis, Altay, Imariye, Kosova and Yenimahalle.